Fr. 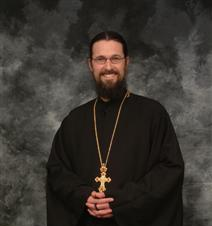 Josiah Trenham, pastor of St. Andrew Orthodox Church in Riverside, Father Josiah Trenham spoke about religion and politics at the 2015 Unite IE Conservative Conference in California last month. Pastors, he said, must rise to their duty to bring moral awareness to our civic institutions and fight the secularizing trends that see the separation of Church and State as a moral rather than functional separation. Secularism leads to an increasing intolerance of any viewpoint other then their own Fr. Josiah warns and when the secular vision is fully implemented in our cultural institutions, tolerance will cease. The bankrupting of the Indiana baker is an example of this. There are 35,000 churches in America but most of them are silent. If they remain silent and the laws come that silence and religious discourse in the public square, it will be too late.